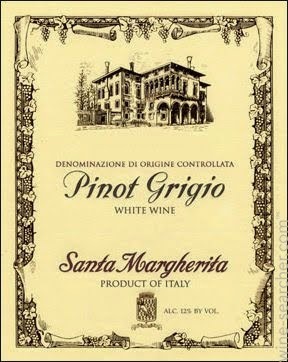 Pinot Grigio was an unknown varietal in the United States in 1979 when Tony Terlato, then a young importer of Italian wines, went to Italy in search of the "next great white wine". He believed that as Americans' appreciation and knowledge of fine wines continued to grow, there would be demand for a complex, high-quality white wine. At a Milan hotel, Tony tasted a Pinot Grigio with a medium body, an elegant aroma that was fruity and spicy, and a crisp taste--he knew he had found his grape. He changed his travel plans and immediately drove to the small town of Portoguaro in Northern Italy's Alto Adige region, the premier area for growing Pinot Grigio. Upon arriving, Tony sat down at a small restaurant in a local inn and ordered 18 bottles of Pinot Grigio off of the wine list. Seeing the wealth of wines at a table with only one diner, the inn's proprietor joined him, and they tasted through the wines, testing each bottle against a variety of foods. 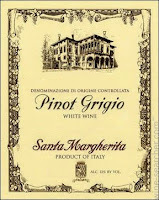 By the conclusion of the dinner, they agreed on the best wine at the table: Santa Margherita Pinot Grigio. As is the nature of small-town life in Italy, the inn's proprietor knew the owners of Santa Margherita. The next day Tony met with Santa Margherita's president, Count Marzotto. When he left that evening, Terlato Wines International (then Paterno Imports) was the sole importer. Those were the days, eh? Are there any wines like that still to be discovered in the world? Santa Margherita isn't as dominant as a decade ago. This year it tied for sixth most popular wine by the glass in Wine & Spirits' restaurant poll, and didn't make the top 50 by the bottle. In part that's because U.S. consumers are branching out and trying new things. It's hard for a mass-produced brand that tastes like nothing and costs twice as much as similar wines to stay on top for so long. Santa Margherita has introduced all sorts of brand extensions: a Prosecco, a Chianti Classico, a Chardonnay, a Merlot and a Cabernet Sauvignon. Did you know that? I didn't, and perhaps the company thinks it will regain its omnipotence for the Pinot Grigio and get more traction for its other wines with another importer. Good luck with that. Great article. In my experience when the rumours start flying... it usually turns out to be true. When I was selling it, I loved the cash it generated. Like Don said, I could never figure out why anyone would pay the ever increasing price as higher quality, better tasting PG's were imported. My guess is that the folks at SM have grown weary of the Terlato family reaping the rewards when a more "reasonable" pricing structure would certainly generate higher sales from the winery, and most likely, a much broader market presence.